Are you broadcasting on FM radio? Yes. 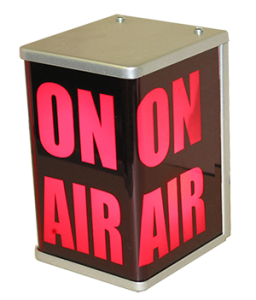 Since October 14, 2014 Huntley Community Radio has been broadcasting 24/7 at 101.5 Mhz on the FM band using the call letters WHRU-LP. Turn the dial to 101.5 FM or listen on our website. We added an antenna at the top of the water tower located at Haligus and Kreutzer roads that is connected to a FM transmitter at the base of that water tower. We then send the audio from our Deicke Park studios to the water tower via the internet. 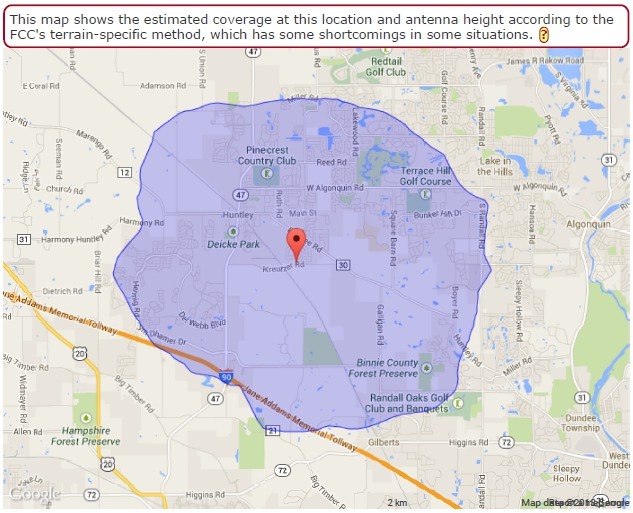 How far will HCR’s broadcast signal reach?  By law, as a low-power FM station, HCR is restricted to broadcasting at a signal strength no greater than 100 watts from a height no greater than 100 feet above ground level. This in effect limits its broadcast distance to approximately 5 radial miles from HCR’s transmitting antenna atop the Huntley water tower at Haligus and Kruetzer Roads without a perceived weakness in its signal. All of Huntley and portions of Lake In The Hills, Gilberts, Lakewood, Algonquin, and Hampshire are covered within this distance. Since we have gone live, we have noticed our signal is going further than 5 miles. Of course, all HCR programs simulcast over the internet, so listeners who have internet access anywhere in the world will be able to listen to HCR. For those of you who are new to our site and our station, we welcome you to become one of our regular listeners who are experiencing the added knowledge, insight, and enjoyment that HCR brings into their lives. 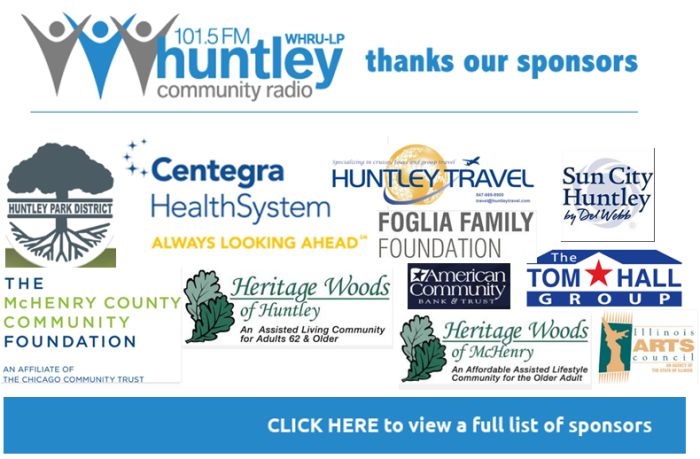 Huntley Community Radio is local in nature, commercial free, and a joyful change from mass-marketed radio.